Get better and bigger results than you ever thought possible without using illicit or unhealthy drugs. 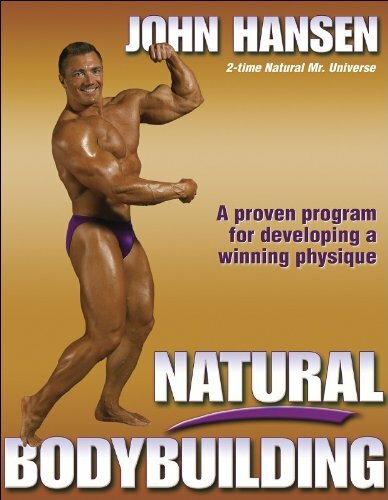 Natural Bodybuilding provides the best training and nutrition prescription available for gaining mass and defining muscles the healthy way. Detailed programs and workouts, specific techniques for particular lifts, proven dietary guidelines, a weeklong precompetition plan, and true inspirational success stories will help you reach your potential. See what great results you can achieve without incurring the expense and physical toll of a chemically crafted body. IRONMAN columnist and champion natural bodybuilder John Hansen covers every facet, from the gym to the training table to the competitive stage. Get bigger the right way, with Natural Bodybuilding.